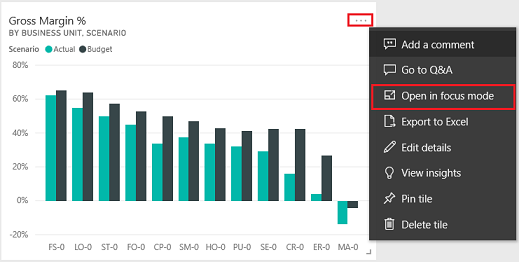 You can add a Power BI report or dashboard to a web page in portal by using the powerbi Liquid tag. You can add the tag in the Copy field on a web page or in the Source field on a web template. If you adding a Power BI report or dashboard created in the new workspace in Power BI, you must specify the authentication type as powerbiembedded in the powerbi Liquid tag. If you have specified AAD as the authentication type in powerbi Liquid tag, you must share it with the required users before adding the secure Power BI report or dashboard to a web page in portal. 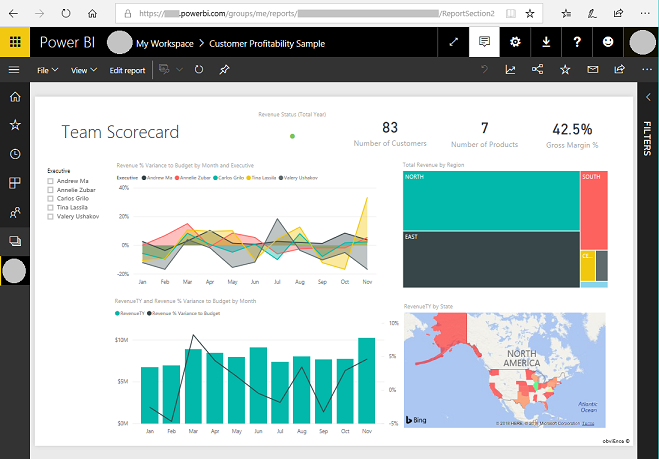 More information: Share Power BI workspace and Share Power BI dashboard and report. Open the dashboard or report you want to embed in your portal. Copy URL from the address bar. Open the dashboard from which you want to embed a tile in your portal. Point to the tile, select More options, and then select Open in focus mode. Copy the tile ID from the URL in the address bar. The tile ID is the value after /tiles/.